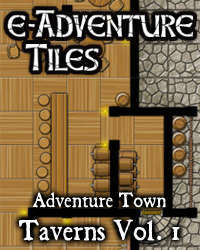 e-Adventure Tiles: Adventure Town – Wharf brings this classic gaming environment to your tabletop. 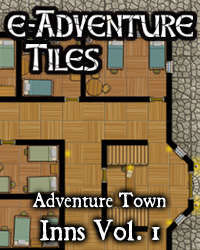 This 25 tile set is perfect for swashbuckling fights, shady meetings, or linking up with e-Adventure Tiles: High Seas Warship or any of the other Adventure Town sets. 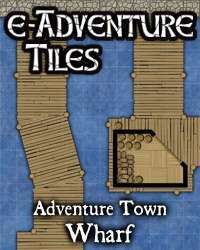 Details include wooden piers and piles, cobblestone shorelines, an impound shed, and a shipping office. 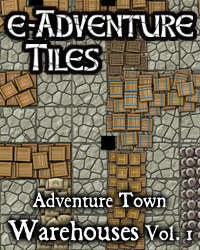 e-Adventure Tiles are designed for use with your favorite role playing or miniatures skirmish game by RPG cartographer Ed Bourelle. 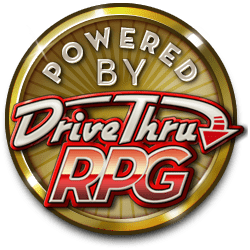 Collect all of the Adventure Town products from SkeletonKey Games. 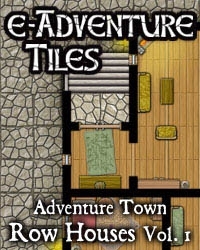 This title was added to our catalog on October 02, 2007.